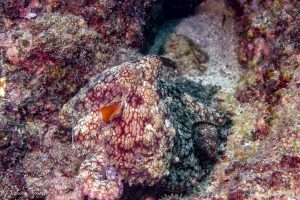 In Coiba National Park, we are sometimes lucky enough to observe the incredible octopus, charismatic creatures known for their intelligence and their mastery of camouflage. 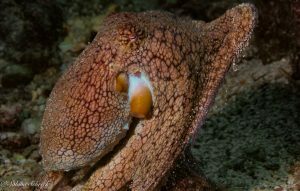 If you haven’t seen it yet, this popular video from a TED talk is one you can’t miss that shows how phenomenal the octopus’s ability to blend in with its surroundings can truly be: https://www.youtube.com/watch?v=PmDTtkZlMwM. 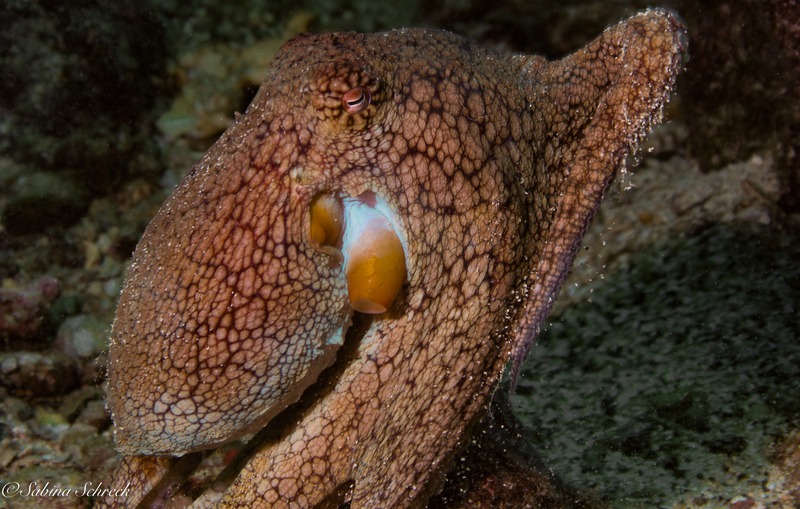 Octopuses are sometimes called the chameleons of the sea due to this amazing skill. It is well known that these animals can change their color at the blink of an eye to blend in with their surroundings, creating varied patterns and undulating displays. But not only can they change their skin color and pattern, they are also able to alter the very texture of their skin to better match their environment. One species of octopus even changes its arm shape and swimming behavior to mimic other marine species that are venomous, or that prey upon the species threatening it. So, how do they accomplish these incredible physiological feats? The skin of many cephalopods (octopuses, squid, and cuttlefish) is lined with thousands of specialized pigment cells called chromatophores. Each chromatophore contains a tiny balloon-like sac of pigment of a different color. By controlling the size of these cells through muscle contractions, octopuses are able to alter the color of their skin rapidly. This is much like if you squeezed a dye-filled balloon- the dye would be pushed to the top and the surface of the balloon would stretch, making the color of the dye appear brighter. In the same way, using muscle contractions an octopus can expand and contract various chromatophores in its skin to make different colors more apparent, creating the patterns it desires on its skin to communicate with other octopuses or to blend in with the surrounding environment. They can produce a variety of colors and even rapidly changing undulating color displays, and these color changes can occur within milliseconds. The pigments of octopus chromatophores are usually red, yellow, or brown, so sometimes octopuses must match colors in their environment that they cannot produce with mixes of these pigment colors. This is when iridophores, another type of cell in their skin, come into play. Iridophores reflect red or blue light based on the angle of the cells. 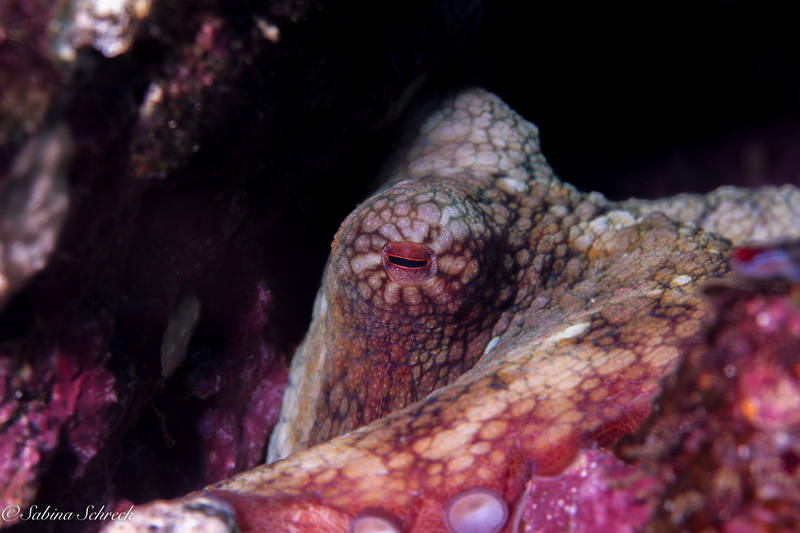 By controlling the angle of iridophores and combining this effect with that the right chromatophore patterns, octopuses can create a phenomenal copy of the seafloor or surroundings they wish to blend in with. 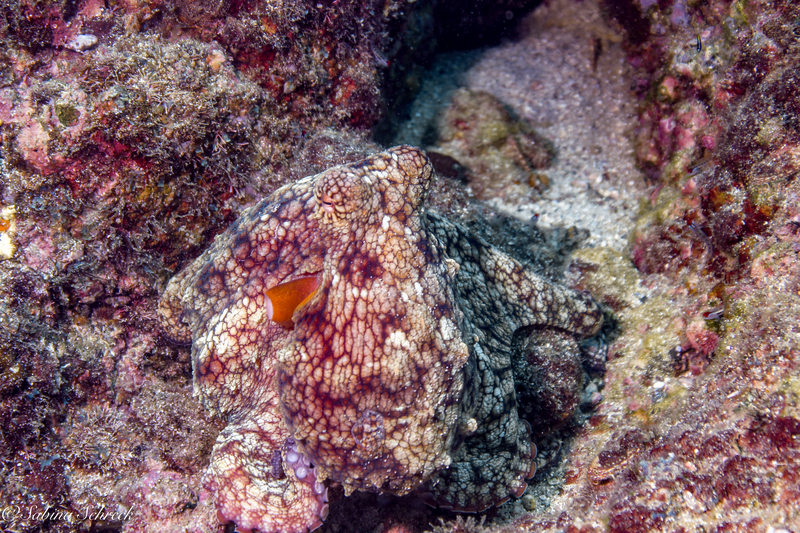 Not only can octopuses change their skin color, but they can also alter the texture of their skin, making themselves appear smooth or bumpy to various degrees. They do this by changing the size of projections on their skin called papillae, using specialized muscles to make their skin appear a range of textures from smooth to bumpy to covered in pointed spikes. By doing this, an octopus hiding amongst coral can not only match the color of the coral, but can also give itself a texture matching the coral as well, eliminating the lines where the edge of its body ends and the coral begins completely. They can then re-smooth their skin to reduce drag when swimming and allow for a quick escape from pedators. There is one species of octopus, appropriately named the Mimic Octopus (Thaumoctopus mimicus), that not only changes its color and texture but also changes the way it swims and moves its arms when threatened to mimic other toxic marine organisms in order to frighten away its predator or make itself appear less appetizing. It can impersonate 15 different species that we know of! The mimic octopus has been observed gliding over the seafloor with its arms pulled inward and its entire body flattened like a leaf to mimic a flatfish, crawling into a burrow and leaving two of its arms out on the seafloor with a black and white pattern on them to look like a sea snake, and spreading its arms out and propelling itself through the water to imitate a lionfish. 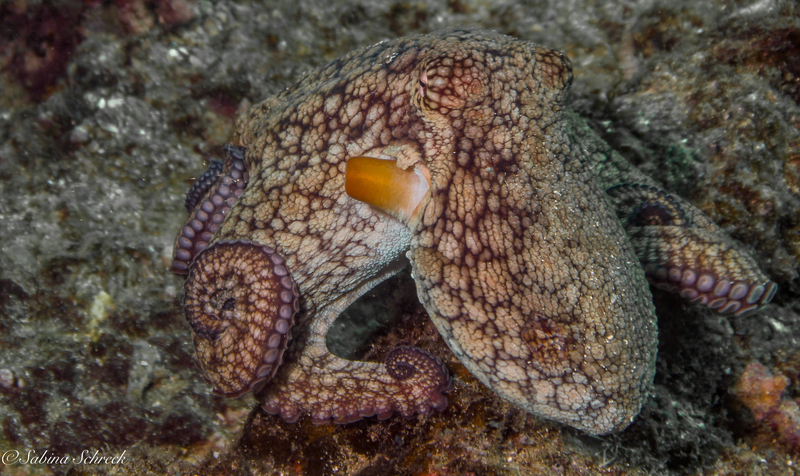 Mimic octopuses in different regions or habitats differ in which species they most frequently mimic based on which predators are found in that area. For instance, those in areas with abundant lionfish more often take on a lionfish-like form. They also choose to imitate different animals based on what organism is threatening them- when threatened by damselfish, they are observed imitating sea snakes, a common predator of the damselfish. The fact that the species it resembles are all venomous or toxic combined with the differences in mimic octopus behavior when presented with different threats in different regions provides evidence that this is a deliberate mimicry of other species. Check out this video to see some of this octopus’s amazing mimicry behaviors: https://www.youtube.com/watch?v=t-LTWFnGmeg!